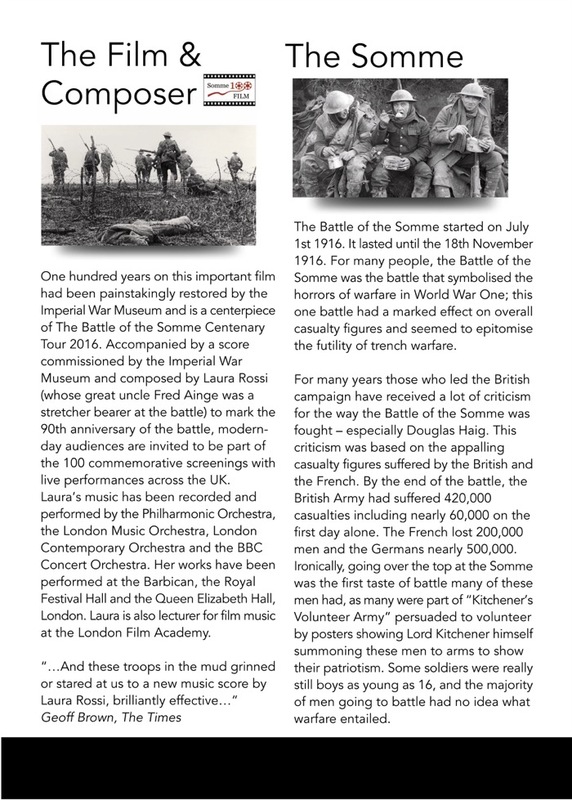 I wanted to send you a little note to say how much I enjoyed working on your wonderful score for the Somme 100 project with my KEMS Orchestra over the last couple of months. 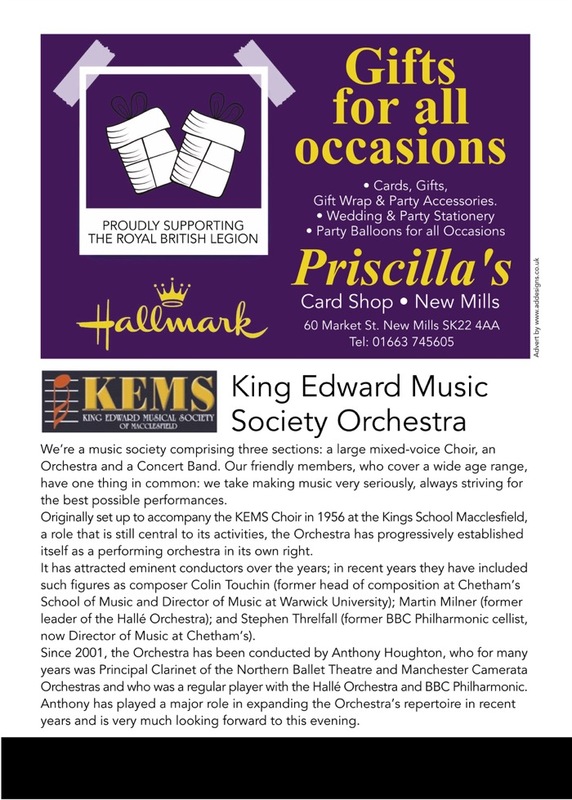 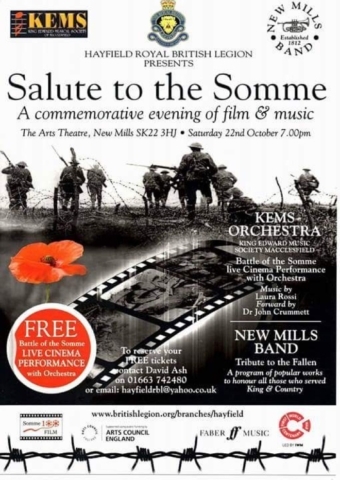 Saturday’s event in the packed and lovely New Mills Theatre was very moving and it was your music that was central to creating the special emotion and atmosphere of this commemorative event. 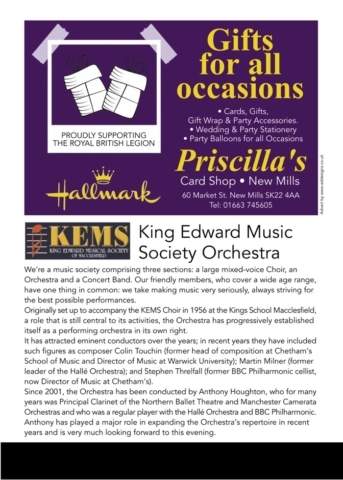 It was a new and exciting challenge for me to work with a click track at the same time as controlling an orchestra – I found it was quite one thing to work with a click as an individual musician, as I have done many times in the studio, but quite another on the podium with over 50 musicians relying on me….! It definitely had its dangerous feeling moments but we must have pulled it off… because the orchestra made a great sound, playing with great intensity and passion and we coordinated well with the film in both time and mood. I loved the music you created, its imaginative sounds, tunes, effects and atmosphere and the precision and clarity of the scoring. 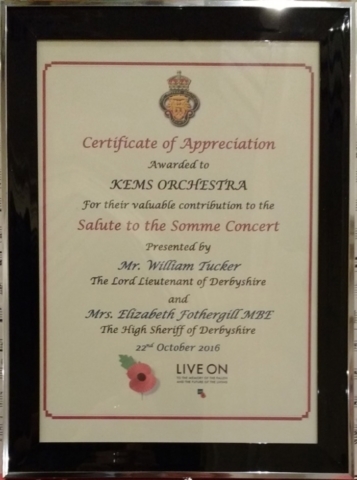 The orchestra players all relished it too and loved the experience. Many, many thanks for your beautiful music, it was joy to study it and to bring it to life. 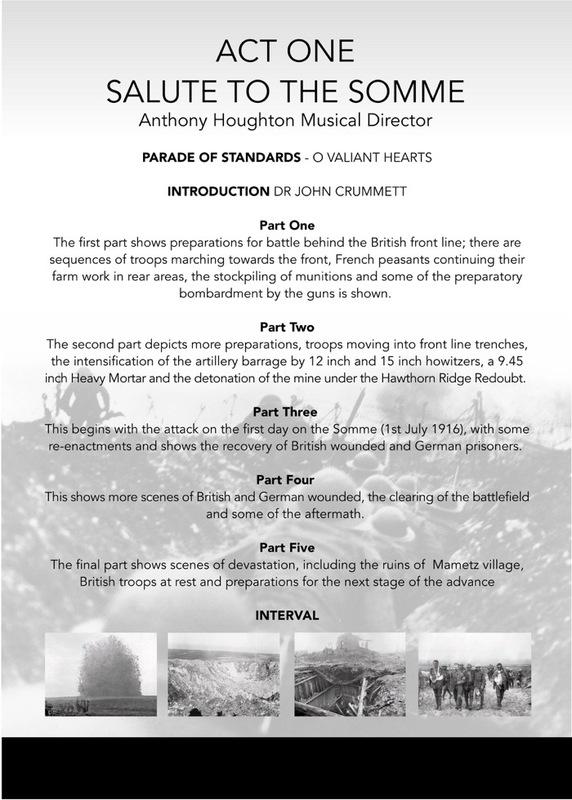 Before our St Michael’s winter season began the Orchestra had taken on a very special project. 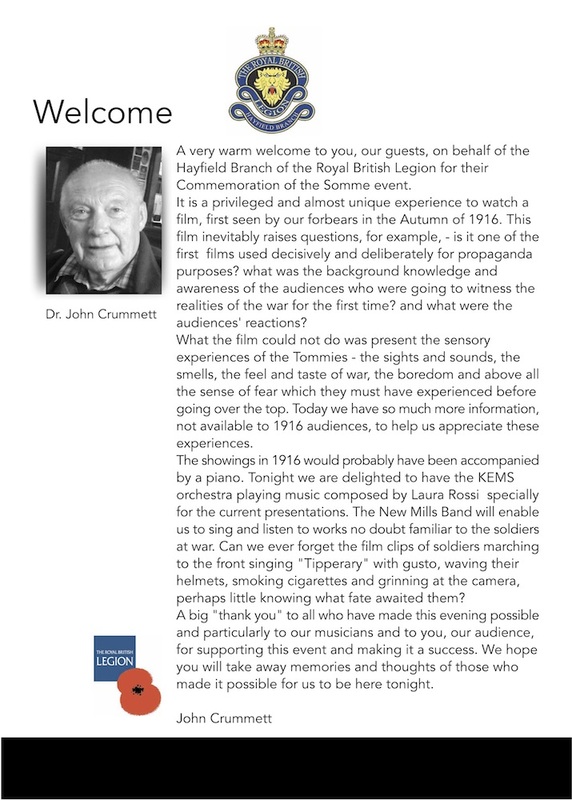 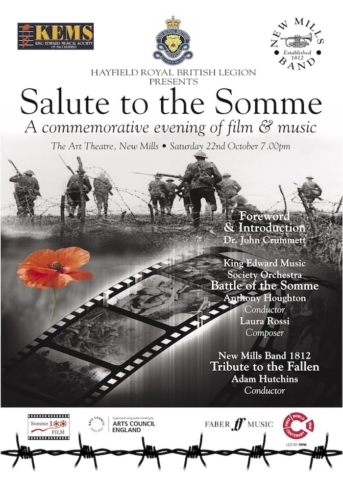 Invited by the Hayfield Royal British Legion to take part in ‘Somme 100’ in the New Mills Theatre in late October, we were to accompany the silent film ‘The Battle of the Somme’, performing a specially composed score by contemporary composer Laura Rossi to commemorate the 100th anniversary of the First World War (see above). With just four weeks of rehearsal allocated for this massive score, this was a big challenge for both orchestra and conductor, both musically and organisationally but everyone took it on wholeheartedly and it was a moving and unique occasion in the packed and magnificent old theatre and the orchestra performed brilliantly, syncing efficiently with the film and creating the changing moods and atmosphere beautifully. In appreciation of the performance, we received a certificate (below) signed by the Lord Lieutenant of Derbyshire and the High Sheriff of Derbyshire.